Globalization persists the tendency to alter numerous aspects of today’s world including religion, transport, language, living styles, and international relations; however, its potential to influence quality of environment is the prime concern for trade and environmental policies guidelines (Audi and Ali 2018). 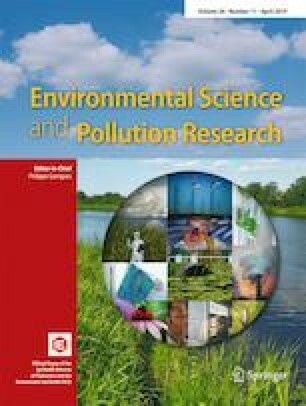 In response to the growing interest for identifying the dynamic relationship between globalization and environmental performance, the present study seeks to investigate the critical link between globalization and ecological footprints in top 15 globalized countries between 1970 and 2016. Applying the novel methods of quantile-on-quantile regression (QQ) and Granger causality in quantiles, the findings examine the manners in which quantiles of globalization affect the quantiles of ecological footprints and vice versa. The empirical results suggest that globalization has a long-term positive effect on ecological footprint and vice versa in case of Belgium, the Netherlands, Sweden, Switzerland, Denmark, Norway, Canada, and Portugal. On the other hand, the estimated results indicate a negative effect between globalization and ecological footprint in the case of France, Germany, the UK, and Hungary. These results extend the recent findings on the globalization–environment nexus implying that the magnitude of relationship among both variables varies with countries demanding individual focus and cautions for postulating environmental and trade policies.